Are shorter, more intense workouts worth the extra sweat? Are shorter, more intense workouts worth the extra sweat when trying to lose weight? Everybody knows that to lose weight you need to eat less or exercise more – or ideally do both. The evidence supporting the benefits of regular exercise and eating less is overwhelming, but for people looking to lose weight, it remains unclear whether there are extra benefits to be gained from increasing the intensity of workouts. Our latest study shows that, for people restricting their calorie intake, the benefits of moderate and vigorous exercise are the same, as long as an equivalent number of calories is burned during exercise. For our study, we recruited 38 overweight or obese middle-aged men and women, who did not normally exercise, to take part in a three-week study. During that time, we asked them to exercise on a treadmill five times a week and reduce their calorie intake. Half the participants were asked to exercise at a vigorous-intensity while the other half exercised at a moderate-intensity. A critical feature of the experiment was that we carefully matched the groups, so all participants burned the same calories during each exercise session and experienced the same reduction in calories by consuming less food. 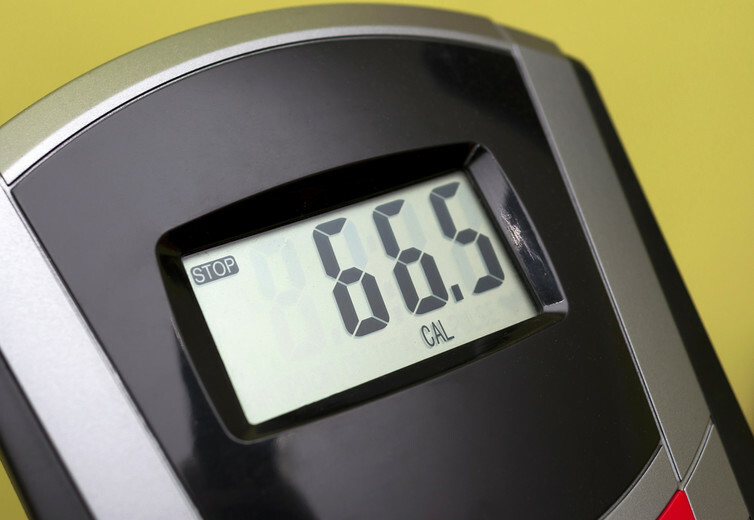 As a result, each participant expended 400kcal per exercise session, and restricted their calorie intake by 715kcal per day, regardless of which group they were in. Very few studies have examined the impact of exercise intensity combined with a calorie reduction on changes within the fat tissue itself. It has been suggested that vigorous-intensity exercise might provide extra health benefits compared to gentler exercise. But wouldn’t that simply be because you end up burning more calories in the same amount of time? The results were surprising. Both groups lost the same amount of weight (2.4kg), on average. They also showed improvements in insulin sensitivity (a good sign if you want to avoid type 2 diabetes) and had similar reductions in body fat, blood pressure, cholesterol and a range of other blood measures. We also found positive changes in the activation of key genes within fat cells in both groups; that is, fat burning mechanisms were activated and fat storing ones were reduced. Importantly, these positive changes took place whether the participants exercised at a gentler pace or more vigorously. The changes show that weight loss causes beneficial changes within the fat tissue itself. Most of these positive changes, both at the whole-body level and at the fat-tissue level, occurred irrespective of exercise intensity. It is worth noting that during the study the participants still enjoyed their usual food and drink, they just consumed less of everything. Highlighting the fact that you don’t need to drastically change the composition of your diet to become healthier. You can achieve results simply by reducing what you consume. While shorter bursts of intense exercise are an option for those who struggle to find time to exercise, for those of you who have just started to exercise again, a gentler approach might be more suitable. And if you find the idea of sweating profusely in a busy gym unappealing, this study presents the interesting possibility that you can probably get the same health benefits at a more gentle intensity while walking outside as long as the number of calories burned overall is the same. The good news from the University of Bath research is that the mode of exercise you chose is probably less important than the number of calories you burn throughout your workouts and the same health benefits can probably be secured either way.